What does differentiation really mean? How does differentiation really work? How is differentiation properly implemented? In this article, Dr. Frederiksen answers these important questions and explains why these should matter to business leaders. Whenever I talk with accounting and financial services executives, I hear a lot of interest in the topic of differentiation—but also confusion. You have probably heard how important it is to differentiate your business but may not believe your firm has the qualities needed to truly stand out. Or you may have tried to use what you thought were differentiators, saw no results, and gave up. You might even believe that differentiation is impossible or has little relevance in your marketplace. 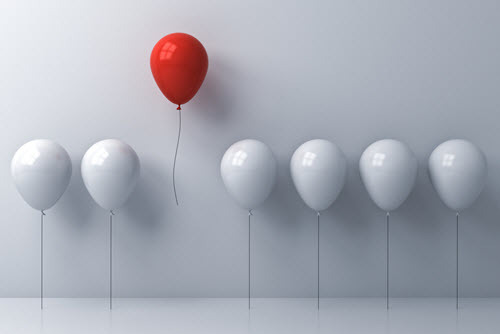 In this post, I want to describe how differentiation works, and how any firm can benefit from implementing a competitive differentiation strategy. Keep in mind, of course, that every firm offers different services to different markets, so there is no single answer that works for everyone. But I can give you an easy-to-understand framework for gaining a competitive advantage through differentiation. In basic terms, competitive differentiation helps buyers distinguish your firm from similar competitors and gives them a compelling reason to choose you. It consists of two parts: first, one or more traits of your firm that your major competitors either do not have or do not talk about; and second, a plan or system to promote those traits to entice prospective clients to buy. Notice that I am not saying you need to be completely different from the competition (although if you are, that is even better!). Instead, you need to find a characteristic of your business that you can “own” and make a special part of your brand. Also, competitive differentiation is more than mere differentiation for its own sake. To really engage with your clientele, you need to communicate differentiators that they care about and value. Other differences can help, such as having a unique visual identity or a catchy slogan, but those only play supporting roles. Buyers of the kinds of services your firm offers are not only inundated with choices, but most of their options usually offer the same services. They also tend to make the same claims: they have a special (but vague) proprietary process, they hire great people, or they are committed to quality service. They often even look identical, with their blue logos and overused stock photos. Given that, it is no surprise that most business goes either to firms with the best name recognition or the lowest prices. The exceptions to this rule are those firms that send out a differentiated message, which gives them a better chance of attracting attention, and the opportunity to outperform even their better-known competitors. The firms that do best at this tend to embrace the idea of focus, resisting the urge to serve all possible audiences. Firms that specialize have a distinct advantage because buyers (whether rationally or irrationally) associate specialization with more experience, deeper expertise, a greater ability to fix problems faster and more accurately, and a better overall experience. More to the point, specialists can also charge higher fees. In a survey my firm conducted of 350 professional services firms, those that specialized were three times more likely to be high-growth firms than their non-specialized peers. You do not have to compete only on price. Because you have distinguished your firm from the competition, prospective clients cannot make their decision based on cost alone. Your appeal to your target audience is stronger. Because you are different (and presumably better), you offer a more appealing alternative, which makes it easier to gain interest and close sales. There is no clear substitute. Because prospects cannot directly compare your firm to “identical” firms, they must focus on the incremental value your difference creates—a value that is yours alone. Being seen as having greater value and no comparable substitutes results in greater loyalty to your firm. If you are delivering on your promise, the client has no good reason to switch, and no equivalent alternatives. You can charge higher fees. I mentioned this earlier, but it is important enough to repeat: if your differentiation adds value and is not available elsewhere, you can command higher fees—especially if your differentiator is around specialized expertise. So, there you have it: a basic definition of competitive differentiators, and why having one (or more) should matter to you. Of course, you cannot create them overnight, and maintaining them takes some effort—but finding and promoting your unique differentiators is worth your while. For more information on this topic, check out our upcoming course, Differentiation, Positioning and Messaging, specially priced for NACVA members.